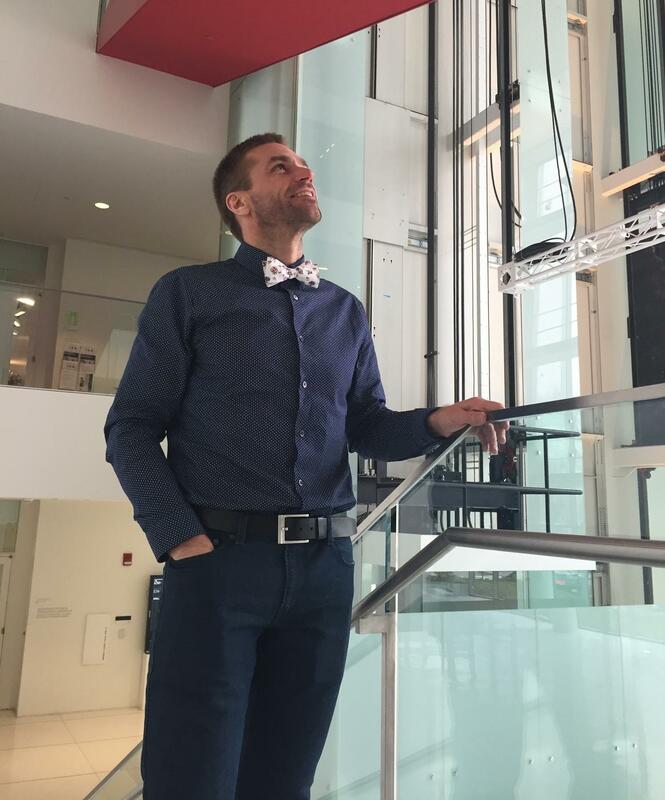 Agnis Stibe is in the Changing Places group at the MIT Media Lab. "My name is Agnis Stibe. I’m from the Media Lab, from Changing Places research group. I’m a postdoc associate right now. I believe that the ultimate aim for mankind and individuals at different scales is wellbeing, and my work is called “persuasive wellbeing.” It’s based on a theory from social psychology which tells that individuals are so much influenced by other people. We are creating the future; we are designing it; we are building the future. Most of the time this is so far away from what people are experiencing now. And, that’s also the beauty of the Media Lab: We are creating the future; we are designing it; we are building the future. The Media Lab is a unique place which pretty much allows people to advance their strengths that you can contribute to the world both in research—understanding new ways of doing things—and applied research. So, we’re collaborating with businesses, and also getting things done out there and seeing how they work.